Published by Union of Concerned Scientists. View original article. I noted in my recent post on wind turbines and tourism that a related issue, wind farms and property values, was also important to consider. A new study does just that, and finds “no statistical evidence” of effects. 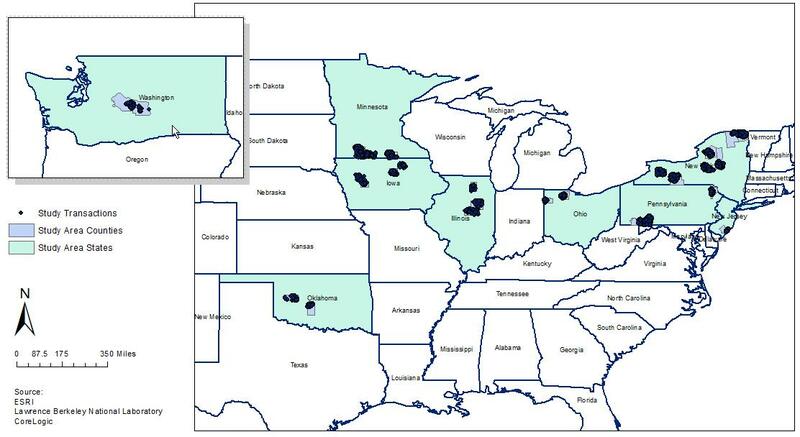 The study is A Spatial Hedonic Analysis of the Effects of Wind Energy Facilities on Surrounding Property Values in the United States, from Lawrence Berkeley National Laboratory. The author team included LBL experts, researchers from Texas A&M and San Diego State, and others. The “hedonic” in the study title refers not to hedonism in the colloquial sense (think college students living it up during spring break), but to the amount of pleasure — or displeasure — that comes from a certain amenity, like a nearby park, or disamenity, like a garbage dump. In this case, the question is where wind farms sit on the amenity-disamenity spectrum. Spatial Hedonic Analysis is not the first study to look at these issues. This work builds on reports of analyses by some of the same team members in recent years, and, as the study’s impressive literature review attests, work by others. Still, this effort included analysis of an impressive and unprecedented level of data. It covered more than 51,000 sales of homes near wind turbines, in 27 counties in nine states — wherever they could get at least 250 relevant transactions. All of the homes were within 10 miles of wind farms (67 different facilities), and 1,200 of them were within a mile of a wind turbine. …if effects do exist, either the average impacts are relatively small (within the margin of error in the models) and/or sporadic (impacting only a small subset of homes). Different states also have different characteristics, including demographics, population densities, and experience with energy development or natural resource use. But the research incorporated a wide variety, from Washington State to New York and New Jersey, and plenty of places in between. 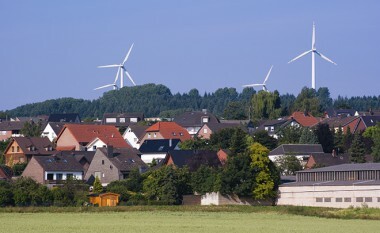 Like tourists, neighbors will have different takes on wind turbines. But good, hard data on what a proposed wind project might mean when it comes to selling or buying in the neighborhood is a valuable contribution to the discussion.